Reprorubber® Putty is a two component, addition cured, platinum catalyzed, hydrophobic vinyl polysiloxane. It is a hand mixed to obtain a uniform mixture. It may be used to reproduce surface characteristics. It is able to reproduce surfaces down to submicron particles or scratches. It is cured at room temperature. However, warmer temperatures accelerate the setting time and cooler temperatures slow the setting time. Further information on composition available on SDS. Appearance - Blue smooth, non-tacky paste. Filling loading approximately 40% silicon dioxide. Contains approximately 5% Organic Phthalate Plasticizer. Appearance - Off-white, non-tacky paste. Filling loading approximately 40% silicon dioxide. Contains approximately 5% Organic Phthalate Plasticizer. 30 seconds, Larger masses may take up to 60 seconds. 5 – 6.5 minutes. Varies with ambient temperature. Warmer temperatures accelerate the setting time. Cooler Temperatures slow the setting time. 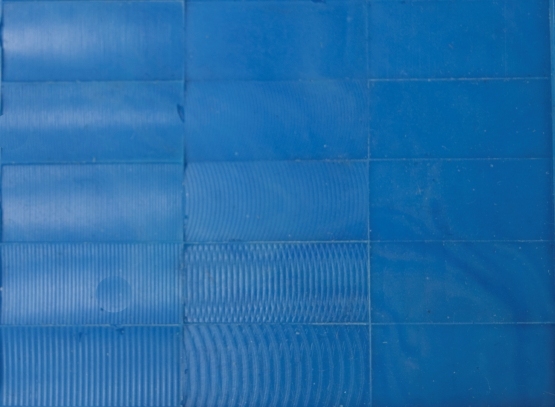 Fully set material may be autoclaved, but its dimensional stability may be compromised. If allowed to return to room temperature, should return to original shape. Fixturing where semi-rigid structure is desired. Making joints where flexibility is required. Replica is easy to remove - even if there are under cuts or grooves. Cross-sectioning of replica is easily accomplished with a knife or razor. It can then be checked on an optical comparator or microscope. Surface finish replication is exact with excellent optical properties. Replicas are permanent - will not leach or ooze out nor outgas. Prototypes of rubber type components such as gaskets, washers, etc. As a mask for high temperature plasma spray of metallic coatings. Reprorubber® Putty will withstand up to 600°F (or more). 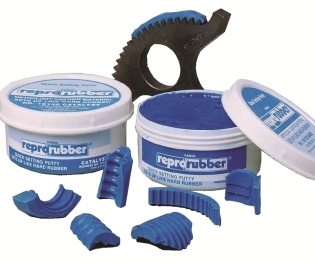 Reprorubber® copies can be recopied (copy from a “female mould” yields a male-shaped replica). Reprorubber® is a metrology-grade self-curing casting solution. 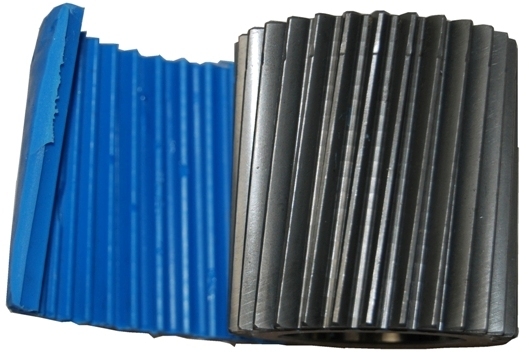 Reprorubber sets the industry standard for self-curing casting applications. Copyright © 2018 Flexbar / All rights reserved.